Fresh on the Market! Not previously listed for sale! 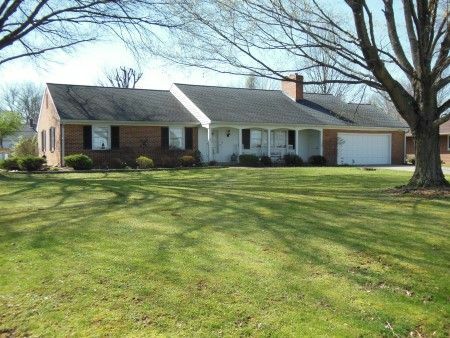 Beautiful 3 Bedroom 2.5 Bath Orchard Hill Subdivision Home. 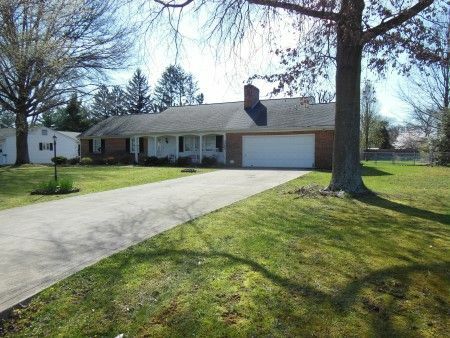 What an opportunity to acquire an absolutely beautiful one floor plan 3 bedroom, 2 1/2 bath home in the Orchard Hill Subdivision with attached 2 car garage, concrete drive, spacious back yard and a lot of natural wood work and flooring! The Home offers foyer, inviting open concept living room/dining room with brick face fireplace with gas logs, sunroom with tile floor and double doors to the rear patio and backyard, updated eat-in kitchen with newer cabinetry, 2 hall closets, Owner's Suite with attached full bath with shower, bedroom, full bath with shower over tub, & bedroom all on the first floor. Partial basement offers finished rec room with free standing ventless gas fireplace, utility room with washer/dryer hookups, 200 breaker box, 1/2 bath, CARRIER Weather Maker 8000 HE gas furnace, central A/C, & security system. Real Estate Terms: $6,000 down at time of sale in cash or check; balance & possession at closing on or before July 2, 2017; offered free & clear prior to closing; Sold As-Is; No buyer's contingencies exist; taxes pro-rated to closing date. Taxes & Legal: Ross Co. Auditor reports Annual Net Tax: $3,043.62; Scioto Twp., Chillicothe City School District, Parcel No. 305121034000. Mark Preston, Atty.